Swim with a view! Our aquatic complex overlooks the golf course and our sparkling 16-acre lake. A 279,000 gallon, Olympic-sized main pool ranges in depth from 3’6” to 12’6.” There are two one-meter diving boards and dedicated lap lanes for fitness swimming. 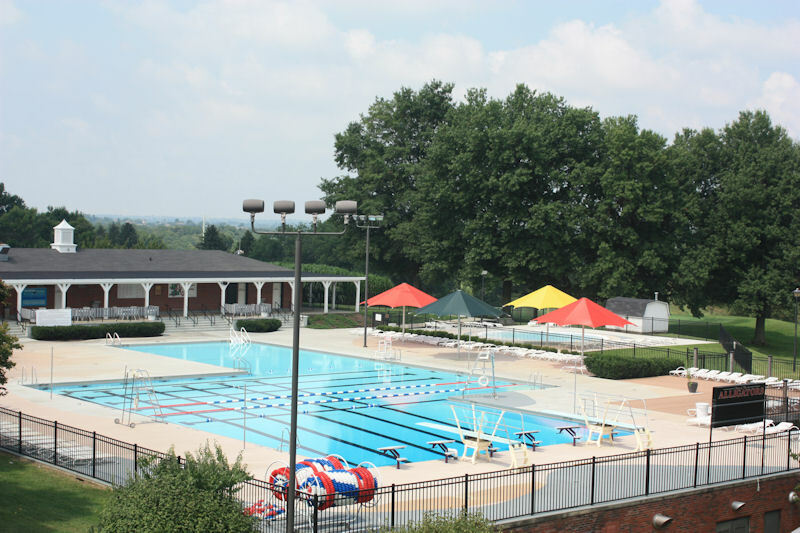 With plenty of lounge chairs, large umbrellas and a snack bar, the pool is a family-friendly center for recreation and relaxation as well as a training facility for competitive swimmers. The wading pool provides a reassuring zero-depth and beach-type entry for our youngest members to enjoy. The Pool will be open Friday of Memorial Day Weekend through Monday of Labor Day Weekend. All Members and guests must check-in with the front desk attendant before entering the pool deck. We ask that you do not enter the pool through the side gates or snack bar area. If you have any questions or concerns regarding the operations of the pool, please contact Todd Christian, General Manager at 859-622-2200. Click here to view our calendar of events, including pool activities.